NeighborWorks Fact Sheets provide multifaceted information on each of the more than 230 NeighborWorks organizations serving local communities in the United States and Puerto Rico. They include the organization’s contact information, board composition, accomplishments, services provided, funding sources, and other significant facts. 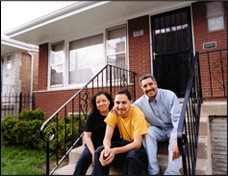 The Fact Sheets are updated by NeighborWorks organizations and NeighborWorks® America district staff. Designated staff can click on “Admin” button at left to update a Fact Sheet, or click on “Help” for further assistance.